Aim of the project: The purpose of the camp is to bring together Azerbaijani youth living in the world around the unique platform to get them acquainted with Azerbaijan, as well as help strengthen the bonds between Azerbaijan and the Diaspora. 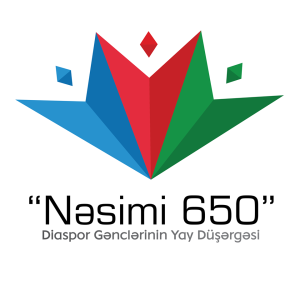 Second Youth Camp is dedicated to the 650th anniversary of the greatest Azerbaijani poet Imadaddin Nasimi. Application Process: All documents listed below must be filed electronically http://diaspor.gov.az/qeydiyyat/ till March 30, 2019. 1 Seyid İmamaddin Nasimi (1369, Shamakhy – 1417, Halab) – was a 14th century Azerbaijani poet, great thinker, known as Nasimi. He has received his early education in Shamakhi, learned sciences of that time, history of religions, logics, mathematics and astronomy. The 600th anniversary of great Azerbaijani poet and thinker Imadaddin Nasimi has been marked worldwide by the decision of UNESCO and many famous scientists participated in anniversary events in Azerbaijan and Moscow. Nasimi played significant role in the development of the Azeri poetry. He has written beautiful monographs in 3 languages. He composed in the native Azerbaijani language for the first time in Azerbaijani literature.